Little does it matter what the calendar tells us, fact is that Fall has arrived by house during the last couple of days. Hard rain, strong winds and chilly air and trees and shrubs filled with colorful leaves that often flutter down to the ground for clean up is all I need to convince me Autumn Season has arrived. I was pleased that I was the one chosen by both my husband’s and my own family to cook and bake for the family each special holiday. (not to mention the many weekends in between) Thanksgiving is the day when we stop and take the time to give thanks and when I looked around the crowded table on that day I am most grateful for all the wonderful people, past and present, that shared my life over the years. And now I am happy that my daughter accepted the responsibility of preparing and serving the family feast on Thanksgiving and gladly relinquish that honor to her. It will be great to be one of the guests!!!! Earlier this year I closed my Internet Gift Shop because I was concerned that my health problems had increased to the point that I would be unable to properly service my customers. I was not spending a lot of time on the Internet either. Lately, however, I have begun to feel better and I am determined to provide you with the opportunity to purchase the merchandise I kept packed neatly in boxes in my house since I closed my gift shop. The small mall where it was located is now a rather fancy grocery store. Anyway, I recreated my store website at caroleespecialties.com and decided to launch the site in time for Thanksgiving to give everyone the time to browse through the items and hopefully find some things for themselves and presents for others. Please take some time to browse through the pages on my website and return often because I will continue to add products frequently. I would love you to liberate my lovely products from their solitary confinement in the boxes in my home to use and enjoy them. If you live in or close to our location in New Jersey and wish to pick up items you purchase to save the time and cost of shipping, contact me by email at caroleespecialties@outlook.com to make arrangements. Remember if you do not live in New Jersey you may not have to pay Sales Tax, contact us for an adjustment of your Invoice. Any questions or comments, please do not hesitate to send me an email. I try to reply as quickly as possible. Have a GREAT THANKSGIVING !!!! It is difficult for me to believe it has been about a year since the last time I wrote a newsletter. I’ve been quite ill but I am beginning to feel more like myself lately. I suspended my Internet store, boxed all my items and store them in a bedroom until I felt sure that I could provide decent customer service. 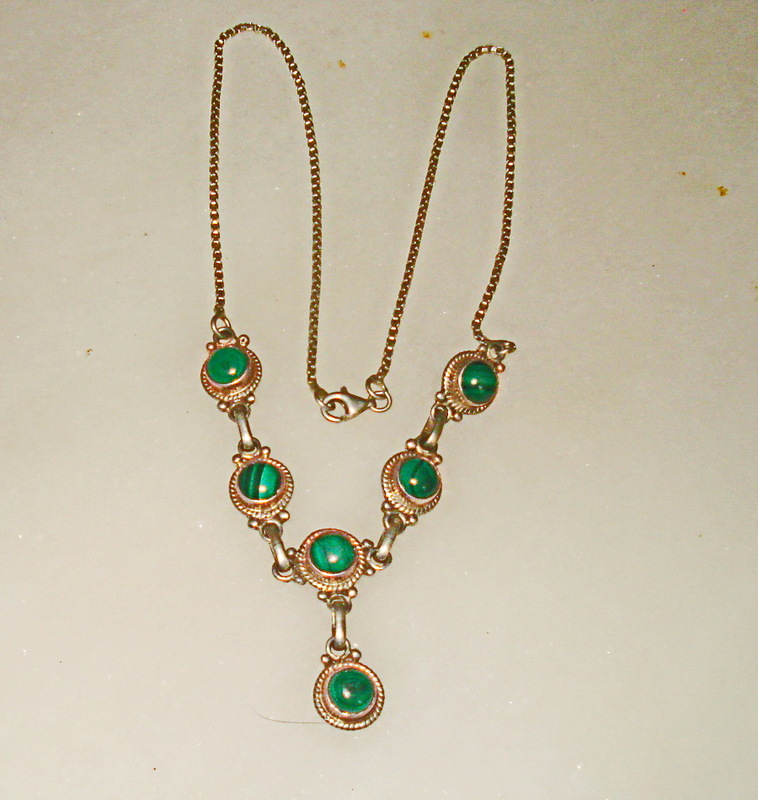 I hope to restore my website and start offering inexpensive items for the holidays. October arrived here in Northern New Jersey with a stark reminder that Fall as also arrived, with bleak, cold, rainy days. But that is okay with me because it is great weather for working on the Internet and organizing closets etc. The stores are filled with Fall flowers, pumpkins and of course Halloween costumes and loads of candy. I love this season, one holiday after the other, and one excuse after the other to get together with family and friends. I am looking forward to all fuss and work involved in preparing for the various holidays this year. This is a very short note to all of you, but I plan to start writing more often and have a lot to write about in the month of October. We will start with the Jewish New Year because Rosh Hashanah begins at sundown tonight. Rosh Hashanah is one of the holiest holidays in the Jewish faith and occasion for families and communities to come together begins at sunset on October 2, 2016 and ends nightfall on October 3, 2016. The central of Rosh Hashanah is the sounding of the shofar, the ram’s horn, which also represents the trumpet blast of a people’s coronation of their king. The cry of the shofar is also a call to repentance, for Rosh Hashanah is also the anniversary of man’s first sin and his repentance. The festival of Rosh Hashanah is the Jewish New Year. It is the anniversary of the creation of Adam and Eve, and a Day of Judgment and coronation of God as king. 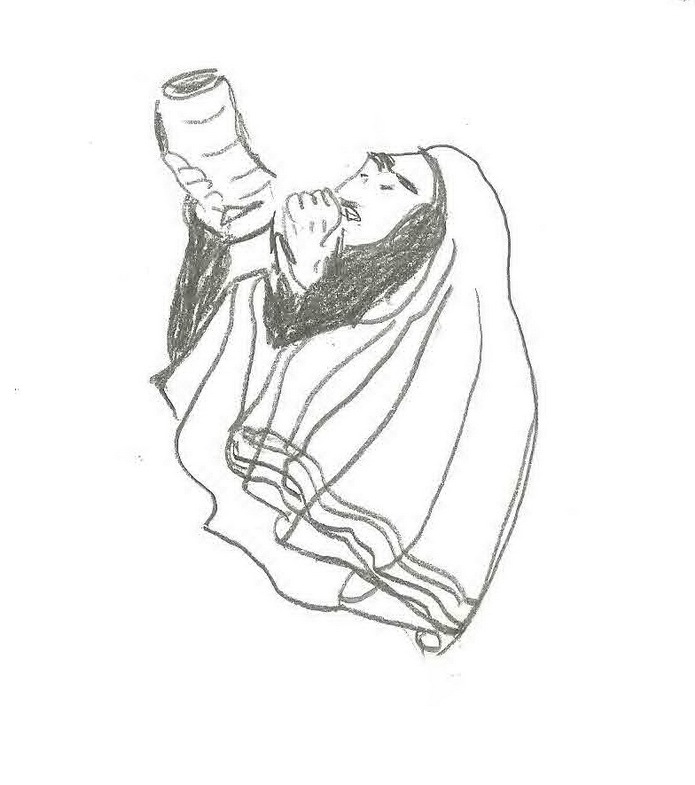 The central observance of Rosh Hashanah is the sounding of the shofar, the ram’s horn, which also represents the trumpet blast of a people’s coronation of their king. The cry of the shofar is also a call to repentance, for Rosh Hashanah is also the anniversary of man’s first sin and his repentance. And as with every major Jewish holiday, after candle lighting and prayers the kiddush (a blessing recited over wine or grape juice to sanctify the Shabbat and Jewish holidays) is cited and make a blessing on the challah (a special Jewish braided bread eaten on Sabbath and Jewish holidays). Yom Kippur is the holiest day of the year, the day on which we are closest to God and to the quintessence of our own souls. It is the Day of Atonement-“For on this day He will forgive you, to purify you, that you be cleansed from all your sins before God” (Leviticus 16:30). For nearly twenty-six hours, from several minutes before sunset to after nightfall, we “afflict our souls”: we abstain from food and drink, do not wash or anoint our bodies, do not wear leather footwear, and abstain from marital relations. The day is the most solemn of the year, yet an undertone of joy suffuses it: a joy that revels in the spirituality of the day and expresses the confidence that God will accept our repentance, forgive our sins, and seal our verdict for a year of life, health and happiness. Sukkot is an eight-day holiday, with the first day celebrated as a full festival with special prayer services and holiday meals. The seventh day of Sukkot is called Hoshana Rabbah (“Great Hoshana”, referring to the tradition that worshipers in the synagogue walk around the perimeter of the sanctuary during morning services) and has a special observance of its own. Outside Israel, the first and last two days are celebrated as full festivals. The intermediate days are known as Chol HaMoed (“festival weekdays”). According to Halakha, some types of work are forbidden during Chol HaMoed. In Israel many businesses are closed during this time. Throughout the week of Sukkot, meals are eaten in the sukkah and the males sleep there, although the requirement is waived in case of rain. Every day, a blessing is recited. The sukkah walls can be constructed of any material (wood, canvas, aluminum siding, sheets). The walls can be free-standing or include the sides of a building or porch. The roof must be of organic material, known as s’chach, such as leafy tree overgrowth, schach (palm leaves, bamboo sticks or pine tree branches) mats or palm fronds. It is customary to decorate the interior of the sukkah with hanging decorations. September always feels like the beginning of the year to me. It is the when school begins for most areas and the time of year when businesses start new projects or promoting new ideas. For many, however, it is the time of the year to lament the end of summer and fun at the beach and in the mountains. But September’s cooler air is great for hiking and camping as well as the many other good things offered by the beginning of fall. September’s birthstone is the sapphire; flowers are the forget-me-not, morning glory and aster. The zodiac signs for the month are Virgo and Libra. This is the time of year when the theater and concert seasons begin, museums have special exhibits and of course there are many festivals and fairs, let’s not forget it is the football and soccer seasons as well. Although spring is usually considered the traditional season for weddings, September can be the perfect time to get married. The cooler temperatures provide more choices for gown styles, longer sleeves, fabrics such as heavy satins and velvet. And don’t forget the choice of shawls from soft pashima to delicate lace to keep the wedding party warm and add a little flavor to their dresses. Floral arrangements of rich blues and purples to dark yellow and burnt oranges can decorate the rooms. On nice days it is still warm enough for garden ceremonies, but perhaps by the end of the month one can wed before the fireplace. In addition to weddings, September is a wonderful month for any type of event from corporate seminars to personal parties. Labor Day is held on the First Monday of September and honors the American Labor movement and the workers contribution to the prosperity of the country. Do you know that The Miss America Pageant began in Atlantic City, New Jersey as a bathing beauty contest? For many years since its origin the pageant has been held in other towns in the United States. But, Atlantic City, NJ is considered the birthplace of this pageant, which is held either in September or October for one week every year. This is also the month in which we start making the many preparations for the soon to arrive many special holidays from Halloween through the way we welcome in the New Year. We will be searching for many ideas to share with you as to how to make the coming holidays special. Carolee Specialties has an 11 place settings plus 7 serving pieces of Dirilyte Flatware to make your dinner party special. Dirilyte is a golden hued flatware that is not gold plated. It gets its golden hue from a solid through bronze. The metal alloy used to manufacture these items is much harder than silver and has the same color and tone of gold, yet is much more durable. The flatware is not dishwasher safe, but in 1961, the company began using a bonded protectant on its flatware, holloware and table accessories. The protectant has a distinct sparkle and negates the need for polishing. The company was originally named Dirigold and was founded in Sweden in 1919 by Oscar von Malmborg and Carl Molin. 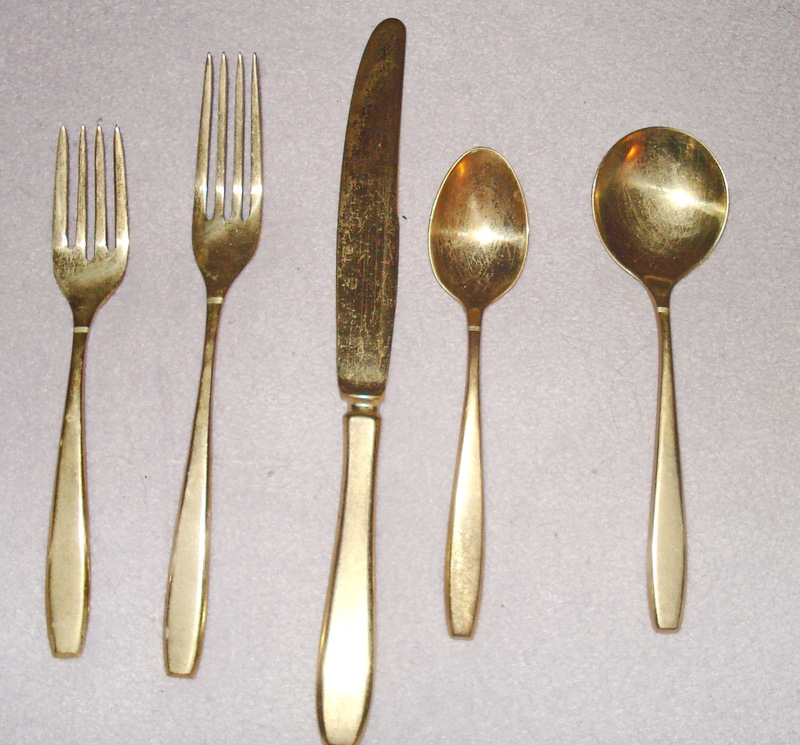 The metal alloy which the flatware was made of was invented in 1914 by Molin and, although it contained no gold, it did contain a number of other metals. The company later moved to America and was forced to change the name to something other than Dirigold, as they claimed that name was misleading to the public, since it actually had no gold content. They renamed it Dirilyte. The product was manufactured in Kokomo, Indiana and ceased operations in the 1980s. A collection of Holmes & Edwards Flatware (Romance Pattern) from around 1952-1959 will take you back to the days you ate at Grandma’s house. About Holmes & Edwards, a manufacturer of fine silver started in the industry back in the 1882, in the city of Bridgeport, Connecticut. The people who started Holmes & Edwards were George C. Edwards and Israel Holmes. 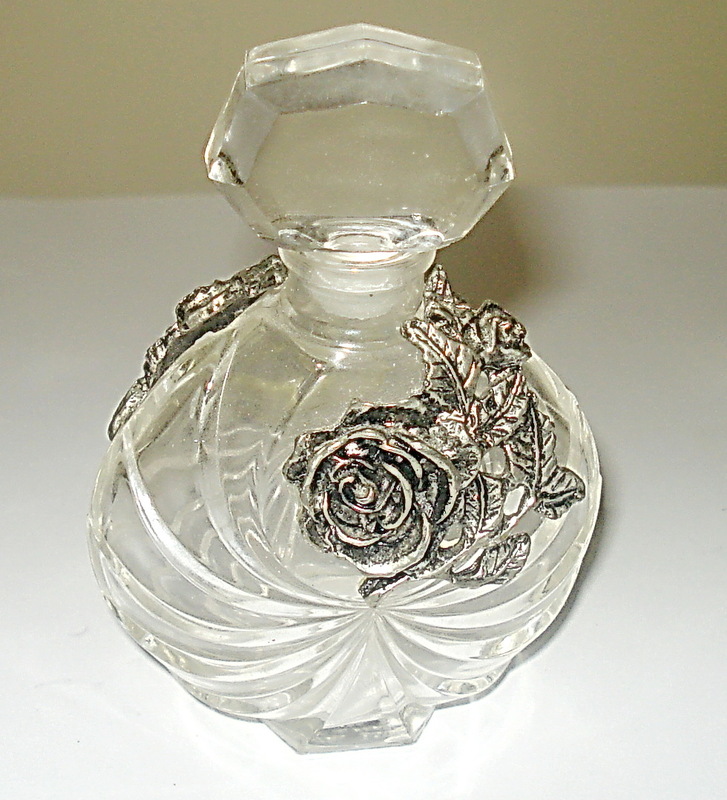 During the early years the company manufactured mostly silver plate. The company has many different patterns to choose from, some of which were created many years ago. Perhaps company’s most treasured pattern is the Jamestown, which was created in 1916. Holmes & Edwards advertising messages were unique and catchy. It was “More than a plate” and “Protected where wear happens”. The reason why this was their advertising message is because during the plating process they would add an extra layer of silver to areas that would normally have the most wear. This provided areas that were prone to the most wear added protection. Many companies may not have believed this process was beneficial, but the company’s pieces are still in great condition because of the process they used. In fact, if you see any of the pieces today, even pieces that are more than 50 years old, still look great because of the process of adding silver to them. Although many of the older products from the company’s earliest years are still in great condition, they are hard to find. If a person does find very old pieces, the chances are they would be very expensive. As one can tell, the company was a great company, and although purchased by The International Silver Company in 1898, the Holmes & Edwards patterns are still of high quality. People can rest assured that any product bearing the Holmes & Edwards name is an amazing product of the highest quality. So, if you are looking for silverware, or silver plated items, be sure to check out items made by Holmes & Edwards. By the way, if you are just starting out you don’t have to buy the entire set. Many people purchase one piece or one place setting at a time. M y store was in a small Art/Antique Mall, annexed to a larger strip mall. During the years when my daughter was still in school we often visited the small stores in the Mall. So, years later when the opportunity arose for me to acquire my own small store in that Mall, I was thrilled. Among the many reasons that little Mall was special was the way the other store owners helped each other. When they learned that my friend backed out of our partnership leaving me to work full time in the mortgage industry and find a way to manage the store by myself, the rolled u their sleeves, put my store together in my absence and during the entire time the store operated one of them managed it in my absence. In a corner of the mall was a table with booths where people tended to gravitate to have a cup of coffee, gossip, share problems and most of all help each other find and market a variety of products. That was where the Interior Decorators went when they were seeking a particular type of item to complete a project, the pickers showed up with a treasure or two they found that week. I sold items created by crafters and artisans I met both in person and on the Internet, I had never considered added collectibles. At first the other store owners asked me to create an Internet presence for each of them, I built websites and posted some of their items on various auctions and classified ad sites. They then encouraged me to hook up with the Picker, Al. who brought items in weekly that he found in his travels while working as a house painter. Every single item Al brought in to sell was accompanied by documentation. He left little to the imagination, even researching at the library and bringing copies of the pages describing the item. He gave me a story to tell the buyers as I sold each item, and for the most part, the story had better be factual because most collectors also do their research. We developed a great partnership that complemented the education I was receiving from the others in the little group that gathered at the table in the Mall. Sadly when the economy fell apart so did everything else in my life. The mortgage company closed and so did the Mall. The Mall owner had no choice but to change everything, most the small store in the main Mall closed and as did the entire Art/Antique Mall. I carefully packed my inventory in boxes and stored them in my home. Sadly the entire group disbursed and I began to feel it was senseless for me to continue to operate. Two special situations (The Wounded Warrior Project. net and the Earthquakes since May in the small country of Nepal) have caused me to return to promoting handmade items and collectibles, starting with the inventory from the store and adding a few here and there that I pick up as I communicate with artisans and small businesses. Thinking of Buying a Pashmina Shawl? This may help you. The name Pashmina comes from Pashmineh, made from Persian pashm (“wool”). Pashima (Cashmere) wool comes from the soft under fur of Changthangi, or Pashmina goats, which are a special breed of goat indigenous to high Himalayan altitudes. Pashminas come in all mixes and sizes ranging from small scarves to blanket sized wraps. Pashminas are often mixed with other materials that reinforce the delicate wool fibres, such as silk or bamboo. 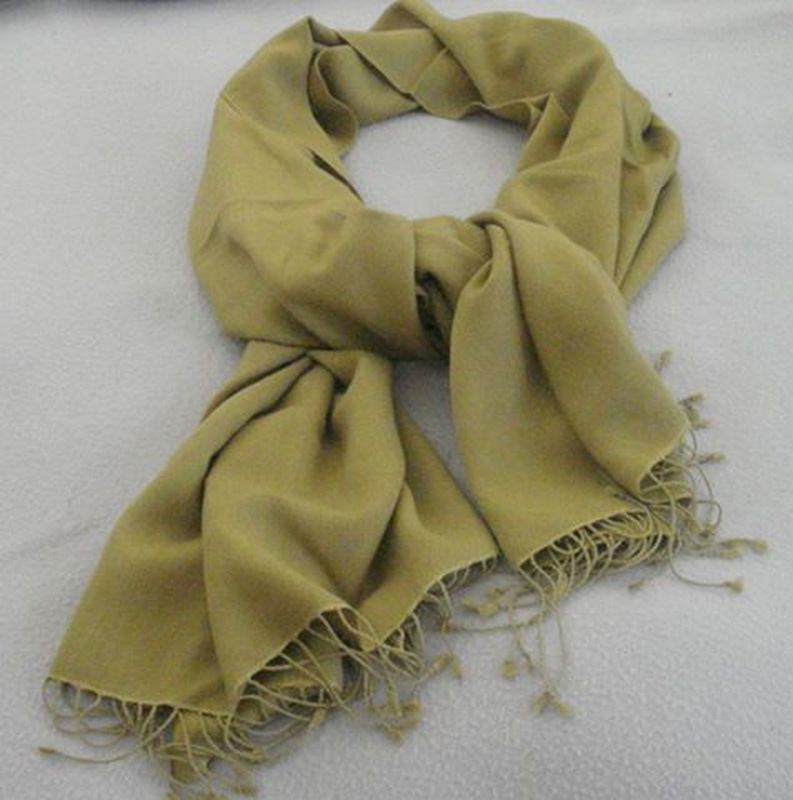 To be considered good quality, Pashmina shawls need to contain at least 70% Cashmere wool. But in the market, you’ll often see cheaper Pashminas that contain only 50% wool. All Cashmere wool is hand spun, primarily in the regions of Kashmir and Nepal where such wool has been made for thousands of years. Every spring Changthangi goats shed their soft winter coats, and weavers work to painstakingly collect the wool shed from the goats. Each Pashmina requires the under fur of at least two goats. These goats will live at altitudes of 12,000 to 17,000 feet. It’s important to note that better quality fibre comes from goats that live in the higher altitudes, because their fur is much softer and dense and insulates better than the slightly coarser under fur found in goats from lower altitudes. High quality Pashminas are always hand spun with weavers using different combinations of Cashmere with other fibres to produce Pashminas of graduated value. Each shawl is individually hand woven and hand dyed. Many Pashmina weavers choose to use patterned artistry to adorn their scarves, stoles and shawls, with everything from floral filigree to animal patterns, and even modern fashion trends like Burberry. Pashminas have incredible insulation, making them practical and warm for all seasons. 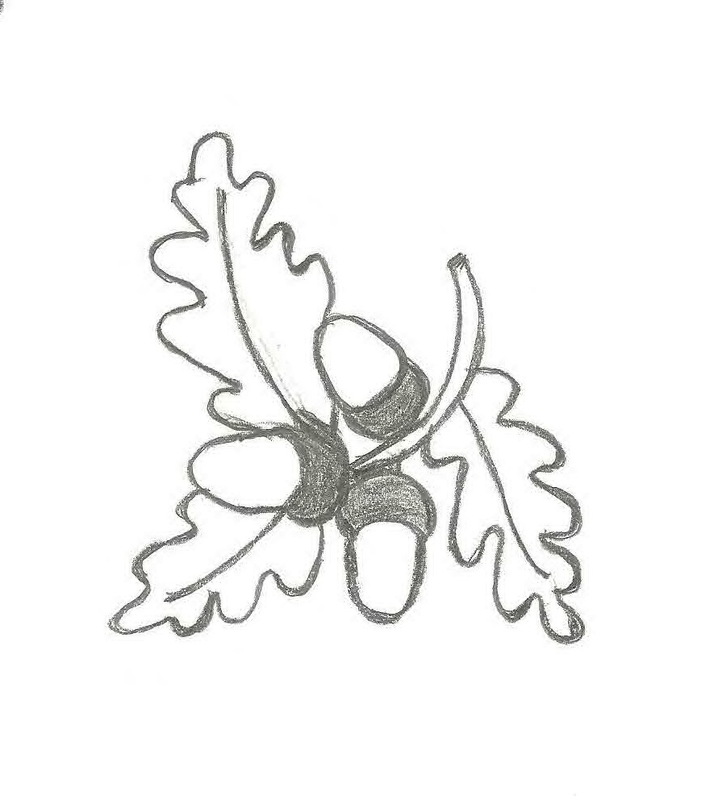 Their insulated properties also work well against summer moisture and humidity. 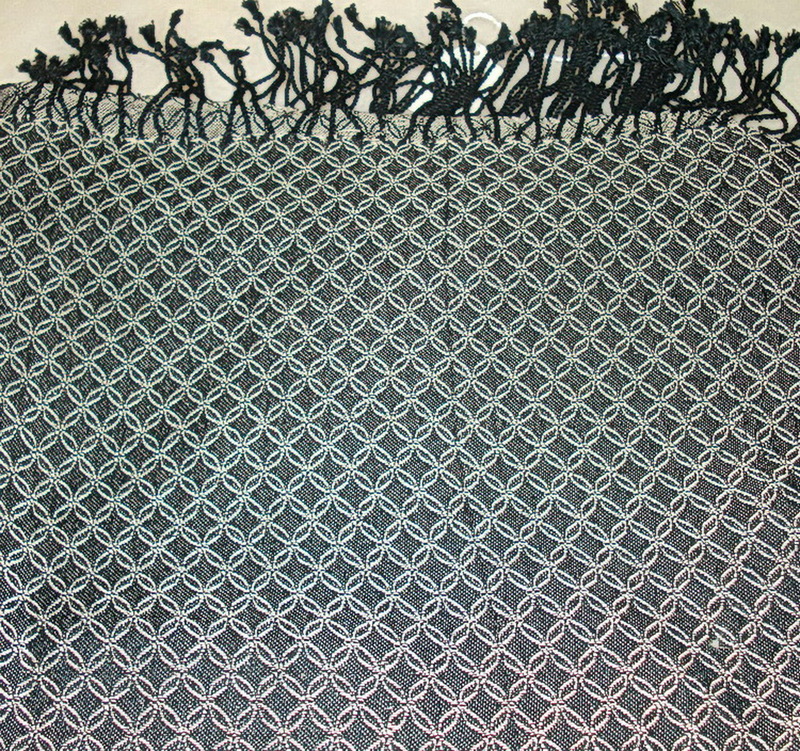 It’s lightweight, with a large (2.9 by 6.7 feet) 100% Cashmere shawl weighing only 5.6 ounces! You also have a fantastic array of choices, with a plethora of patterns (floral, animal prints, Burberry, traditional) and compositions (100% Cashmere, Silk Blended and Bamboo Blended). There’s an almost 100% guarantee you’ll fall in love with a Pashmina as soon as you feel it’s soft and warm qualities. There is no other shawl that can fashionably complement anything from casual sweaters to formal gowns.